What does buying ISBNs have to do with being your own publisher? Since ISBNs are registered to the book's publisher, publishing under your own ISBN means you'd be presenting yourself to retailers and distributors as the publisher of your book. Every book, whether it's self-published or not, has an imprint or publisher name on the copyright page and back cover. When you act as your own publisher, this imprint is registered to you or your organization, and both your imprint and ISBN will travel with you, giving you complete control over your project. If you distribute your book, the ISBN is used to track book sales, so even if you take your book to a different distributor, you won't have to change your ISBN or adjust your files. If you plan to publish more books, an imprint can be especially useful to establish your author or organization brand. While you can use your own name (e.g., John Smith) as an imprint name, incorporating an LLC with "Press" or "Publishing" in the title (e.g., Smith Press) looks more professional and can lay the groundwork for future publications. Okay, so you've decided to act as your own publisher. What comes next? Buying your ISBN. You can buy the ISBN directly from Bowkers at isbn.org—which is the only official source for ISBNs purchased within the United States. If you're outside the United States, you'll have to contact your country's agency that assigns ISBNs. Even if you’re publishing one book, you will need more than one ISBN. Single ISBNs contain a string of numbers beginning with the prefix 615, and are not accepted by most distributors. Instead, you can purchase a block of 10 ISBNs and register one of those ISBNs for your current project. Purchasing a block of 10 ISBNs is especially useful if you plan to publish more than one format of your book (e.g., hardcover, paperback, ebook) because each format requires its own ISBN. You can also use the additional ISBNs for other projects entirely. Once you know which formats you'll be publishing—and therefore how many ISBNs you'll be using—you can log back into Bowkers' website and register the ISBNs to your book title and format. We recommend using a spreadsheet to keep track of each ISBN. In addition to your ISBN, each book needs a barcode if you plan to distribute through traditional channels. 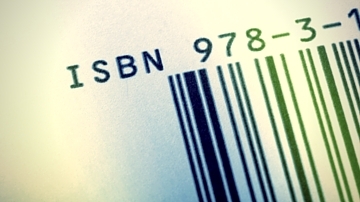 While an ISBN is a unique numerical identifier for your book, the barcode is a visual representation of your ISBN, which can be scanned by warehouses and bookstores. You can either add on a barcode to your purchase of 10 ISBNs at Bowkers—or, for a fee of $50, our design staff can create a barcode using the ISBN that you provide. You will then incorporate that barcode on your back cover before submitting final files for print. Because BookPrinting.com only offers a la carte printing and distribution services, the majority of our clients are coming to us with press-ready files. Because we don't review the book's content prior to publication, we require our clients to act as their own publishers and provide their own ISBNs. If your book was previously published by another company, it likely contains that company's publisher information (e.g., their imprint and ISBN). If you won't be distributing through that company any longer, you'll need to revise your files with new publisher information before printing with us. This next printing would constitute a second edition. Understanding the role of imprints and ISBNs in self-publishing is essential to a smooth printing and publishing process. It can be tough to know when and how all of these pieces work together, and we encourage you to give us a call to learn more.